Virgin London Marathon was in Kenya last weekend to present its 2012 men-race and something more:in my opinion a good idea to improve the name of this incredible marathon in the home of so amazing talents of running. 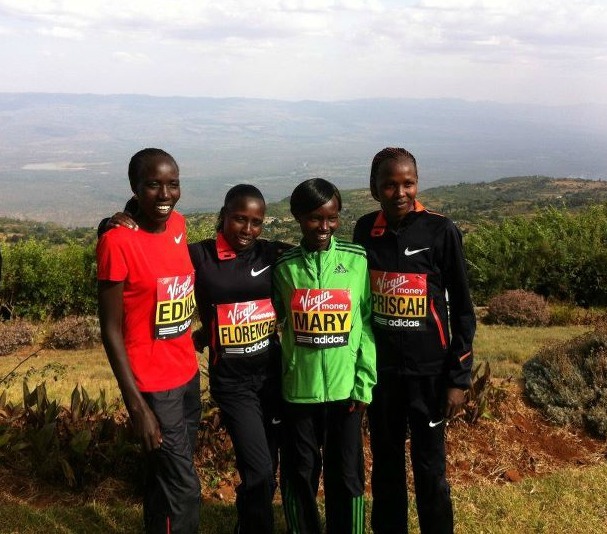 It must be remembered partnership with Uk Athletics Endurance to let british top athletes train in Iten In High Altitude Center like Mo Farah and Paula Radcliffe. I suggested for an interesting reading this post of REALBUZZ who made a good recap about all story. Very nice idea the wall of fame with painting of the best kenyans winner in LondonMarathon,also Samuel Wanjiru:About this u could read on today NATION. Excited to wait for 22th April! !